Simply put, cherry blossoms are awesome. 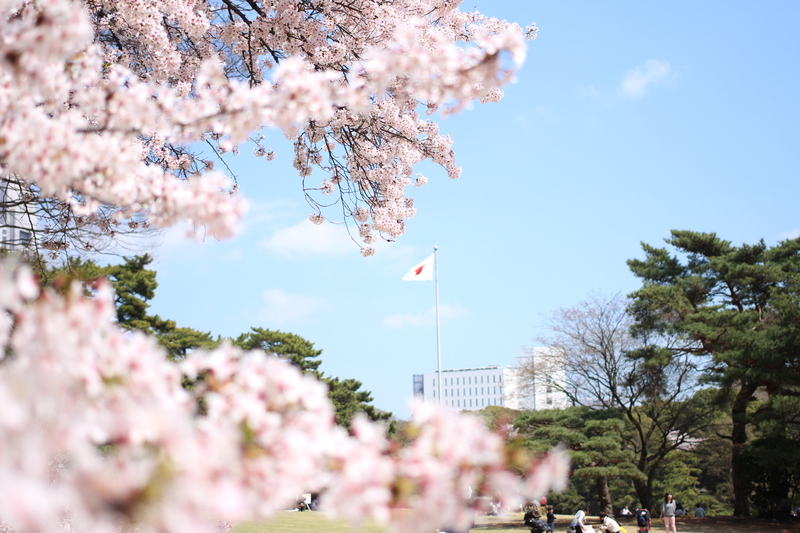 Sakura, or cherry blossoms, are in full bloom all over Japan. Also popular at this time are sakura flavored liqueur, sakura mochi, and sakura flavored everything under the land of the rising sun. 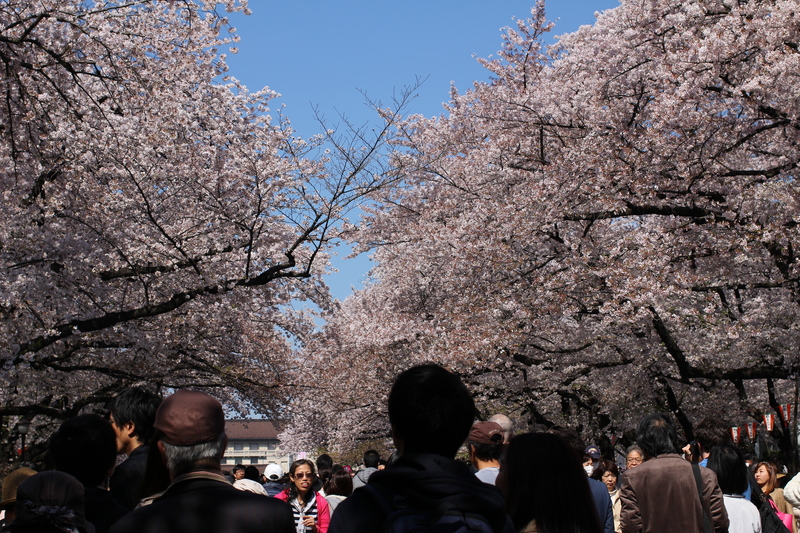 On our second day in Tokyo, we hit up Ueno Park, which is a popular place to view cherry blossoms. Thinking it would be an easy stroll in the park, we were surprised to find crowds of people all around, from kids, young adults, to businessmen in suits, and the elderly. Could it be that all these people are playing hooky? We later found out how extremely significant cherry blossom viewing, or hanami, is to the Japanese, and we were more than elated to participate in this special tradition with them. The park’s main path was lined with the delicate pink flowers on treetops. 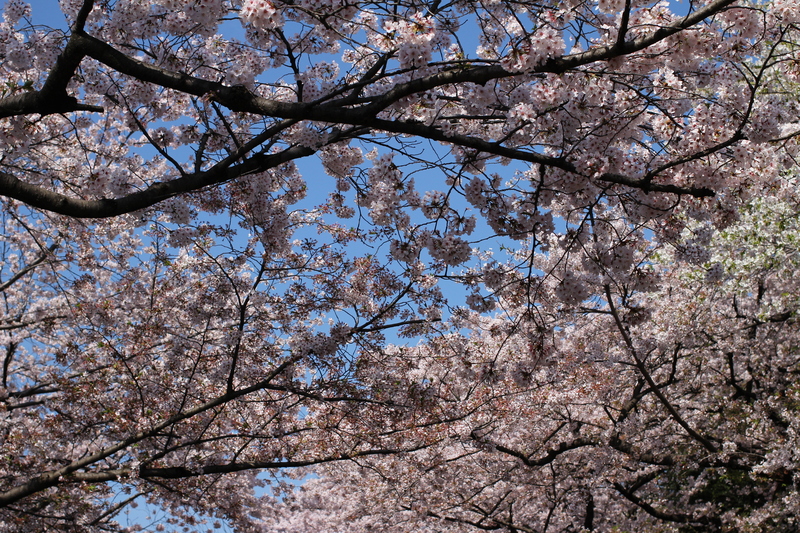 Cherry blossoms are pretty flowers, but to see them in such abundance was breathtakingly beautiful. It was hard to resist stopping every few feet to snap some photos as well as to take multiple #selfies. If you weren’t part of the walking crowd like we were, then you were amongst those picnicking under the trees. 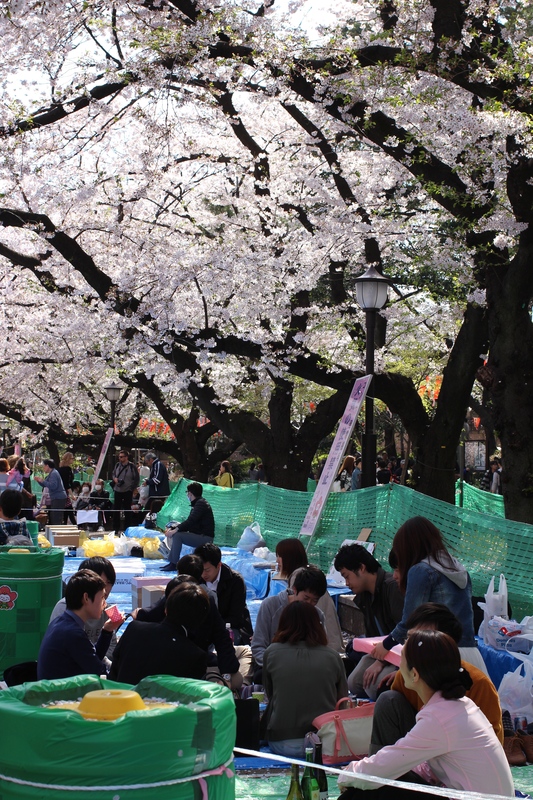 Sitting on top of blue tarp with makeshift tables made from cardboard boxes, groups of friends and families gathered over delectable snacks and sake with a prime view of the blooming cherry blossoms to boot. Occasionally, when a gust of wind breezed through, ooohs and aaahs from the crowd would follow, along with frantic snaps of cameras and smartphones everywhere. Indeed, the sight was quite stunning, as the wind caused it to gracefully snow sakura petals onto the crowd. Surreal in every sense, it looked like a scene right out of a movie. 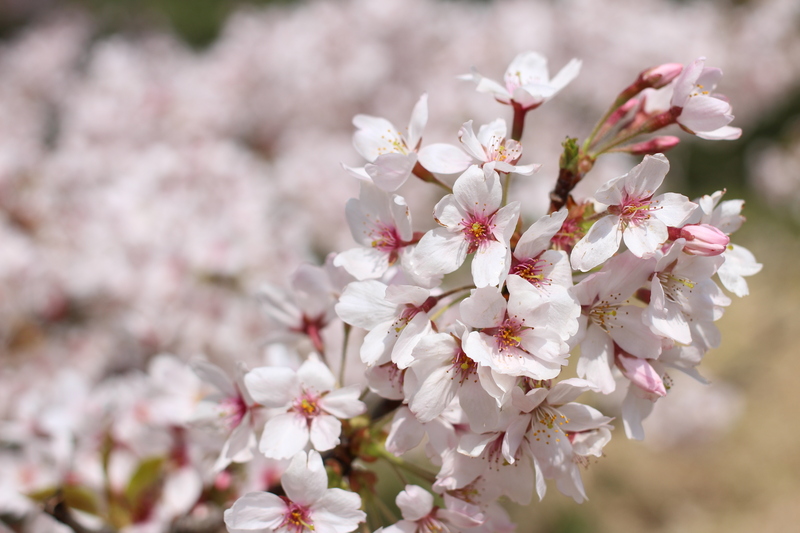 Cherry blossoms are transient beauties, with their bloom lasting only one to two weeks. There is only a short window of opportunity to enjoy them at their prime before their petals are gone with the wind. I’d like to think of these flowers as a metaphor for our round the world tour. Simon and I had delayed this trip a few times before because the timing never seemed “right.” We realized that as young as we are and feel, the reality is, grown-up responsibilities loom over our heads in our not too distant future. If we waited any longer to make our travel dreams a reality, it would be gone with the wind too. So that’s what we are doing now, enjoying the cherry blossoms at our prime until the last of the petals fall off.